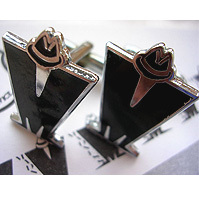 For all UK orders totalling £10 or more we will pay the postage costs. If your total order comes to less than £10 you must add this £2.50 postage charge to your order. Your order will not be posted until either you pay this £2.50 p&p charge or until you order additional items to increase your total purchase to £10+. Many thanks. For international customers, please place your order without adding anything for postage. 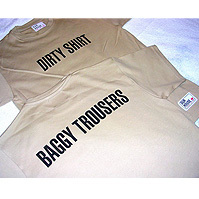 We will then pack your order and calculate the exact postage cost and send you a Paypal invoice for the postage. Feel free to ask us to quote you the postage cost first if you prefer. Don't worry, if the postage cost is higher than you were anticipating we can easily send you a full refund if you decide not to proceed. Many thanks. 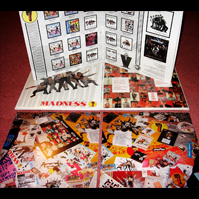 Includes the box and all of the original contents of the box set in mint condition but does not include the vinyl LP. 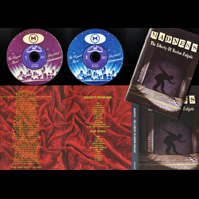 Contains 42 tracks on 3 CDs, including many incredible tracks not available anywhere else except for this box set, as well as rare demos and live versions, again only available here. 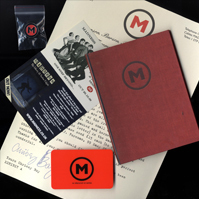 Also included is a Membership Card to the M section on the official website - where more rare live recordings can be downloaded, a membership rules book, a poster, an enamel badge and a letter from Chrissy Boy. Mint condition but does not include the vinyl LP which you can either buy separately or buy the sealed box we are selling which includes the LP. Honda City - Model Car Kit + In the City 7"
Madness themed Honda City model car kit. Over 35 years old yet incredibly still in near perfect condition, totally unused still held in its original box which is also still in excellent condition. Extremely rare item, there cannot be many of these left in existance and certainly not still unused in perfect condition like this one. 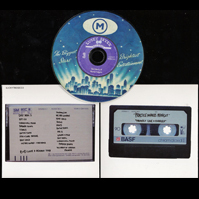 Includes Japanese 'In the City' 7" single...we can reduce the price to £50 if you don't need the single...buy it at £62.50 but then contact us and we will refund £12.50 back to you. Original large size concert poster from Belgium from 23rd January 1980. Nearly 40 years old yet still in perfect condition. 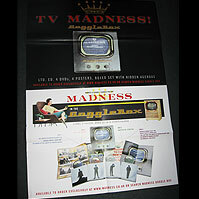 A perfect Madness treasure to frame for your front room and a great investment for the future too. 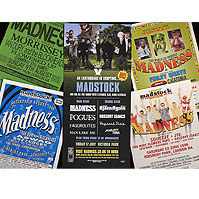 A poster shop in Brighton has recently sold a couple of early framed Madness posters for £600 each and a Tour Tone Tour poster recently sold for £550 on Ebat ...check out our very reasonable price, this has to be a good investment! Approx size: 72cm x 101cm / 28.5 inches x 40 inches. Always be weary of the authenticity of posters advertised as original, especially when still in perfect condition like this one. Occasionally posters from their 22nd January 1980 concert in Belgium (the day before this one) still come up for sale ...the 22nd January posters were re-printed on mass in 1992, so whilst you will occasionally still see them advertised at up to £100 each, be aware that about 99% of these posters are merely reproductions from 1992 and only worth around £25. The original posters from that gig had additional printing in the black bar across the bottom of the poster, the reproduction edition just has a solid black bar. This one we are selling of their 23rd January concert is guaranteed 100% original from 1980, we have never seen a reproduction of this poster. Poster will be sent rolled, properly insured, in a poster tube. Would make a great present to yourself and or a loved one, and unlike most presents will be one that will only go up and up in value. Please ask if you would like us to email you a high resolution image of this poster before you buy. This poster is eligible for our "Buy 2 get 3rd Free" poster deal. 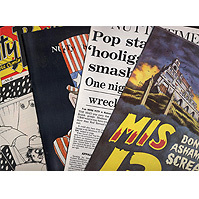 Buy any 3 (or more) non-folded posters and we will refund you the price of the cheapest one. 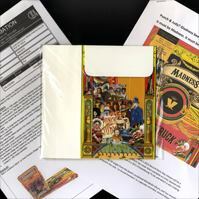 Promotional Lovestruck pop-up Punch n Judy theatre in mint condition together with three press release sheets. 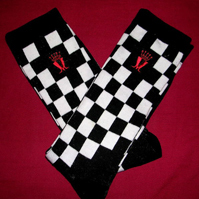 Produced in 2016 to be sold with the Lovestruck 7". 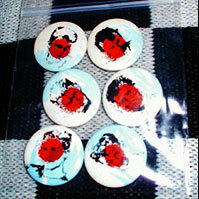 Only 1,000 of the 7" single were made and only 1,250 of these Punch n Judy theatres. 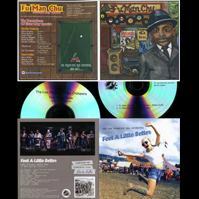 Set of 2 promotional CD singles in mint condition. 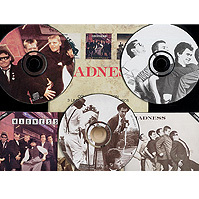 2CD 'Greatest Show on Earth' box set comprising the full album on Disc 1 and 14 additional alternative versions and demo versions on Disc 2, not available anywhere else. 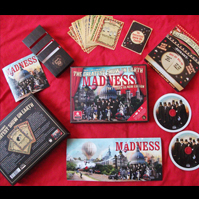 Box also includes special "Greatest show on Earth" game. Near mint condition. 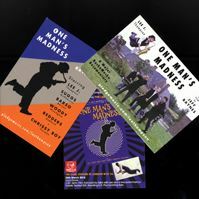 A pair of official lobby cards (postcard size) from the preview of Lee's One Man's Madness film plus a flyer for the screening of the film at London's 100 Club in March 2018. Excellent condition. Please make sure your total order is for £10+ of items otherwise you will need to add £2.50 p&p via the button at the top of this page. 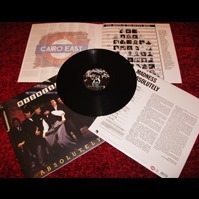 'Let Them East Vinyl' reissue from 2013. 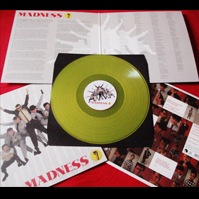 Limited Edition Yellow Vinyl (only 1,000 made) with gatefold sleeve. Mint condition, still sealed. The opened one in the picture is our own copy. Excellent unused condition. 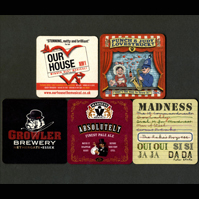 Image shows the back and front of each beer mat, only one of each beermat is for sale. 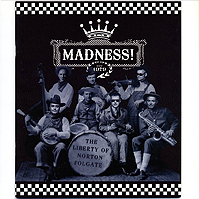 Norton Folgate - Deluxe 2CD version - Includes 7 very rare Madness tracks unique to this edition. 'Let Them East Vinyl' reissue from 2013. 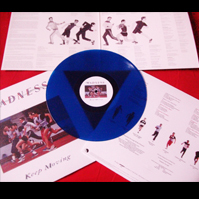 Limited Edition blue vinyl (Only 1,000 made) with gatefold sleeve. This is the only time Keep Moving has ever been reissued on vinyl in the UK. Mint condition, still sealed. The opened one in the picture is our own copy. Brand new - still sealed. 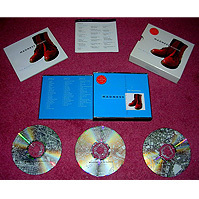 Contains 42 tracks on 3 CDs, including many incredible tracks not available anywhere else except for this box set, as well as rare demos and live versions, again only available here. 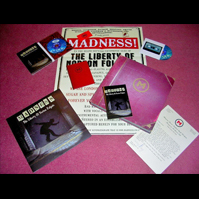 Also included is an LP plus a Membership Card to the M section on the official website - where more rare live recordings can be downloaded, a membership rules book, a poster, an enamel badge and a letter from Chrissy Boy. Still sealed in original barcoded cellophane, image shows contents of box once opened. Mint condition - still sealed in original cellophane pouch. Here you get exclusive access to download the full 1hr 22mins of their Bombay Rock gig from 1986, the full 1hr 44mins of Madstock 5 (2009) and a selection of 22 different tracks performed during their 2010 UK Christmas tour. Also included is the enamel 'M' Section membership badge, the hardbacked members handbook, a printed letter from Chrissy Boy and a postcard sized flyer. 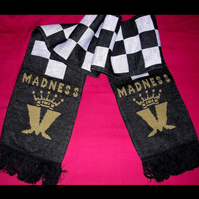 Keep warm this winter with this knitted style official Madness scarf from their 2010 UK Tour. Mint condition, still sealed in original cellophane pack - never been used. Mint condition, never been played, sleeve and vinyl still brand new. 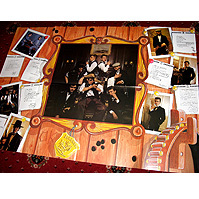 The image shows the back and front of the main picture sleeve (it's not a gatefold sleeve). 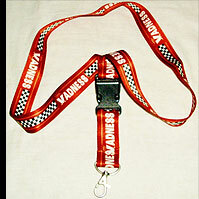 Official Madness lanyard from 2009 in mint condition. Ideal if you have to wear a security / ID pass to work - or merely if you need someone to carry your keys. Play the sax... then how about this as a Madness neck strap! Mint condition - never been played. 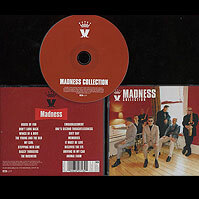 CD includes 9 early demo recordings of Madness tracks from the album as well as 11 tracks from the album they recorded live in 2008 at the Hackney Empire. Very limited availability for this release and was deleted after being on sale for only a very few months. Excellent condition. 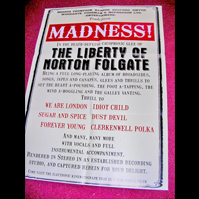 FOLDED POSTER - The Liberty of Norton Folgate - approx 20" x 28"
Factory folded. Mint condition. Factory folded (you will never find an unfolded one). Will be posted in a stiffened envelope. Retro-Madness exclusive! These LPs are normally only available on clear vinyl, here we have a black vinyl version of this LP. Mint condition, still sealed. Gatefold sleeve. The opened one in the picture is our own copy. 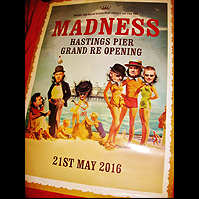 Hastings Pier Poster - May 2016 - 23.5" x 16"
Arguably the best Madness gig artwork for decades, consequently already a sought after collectors item. Poster will be sent rolled in a poster tube. LESS THAN HALF PRICE - REDUCED FROM £56 ! Buy this set at half price whilst stocks last. All items are brand new and are still sealed in their sellophane bags. 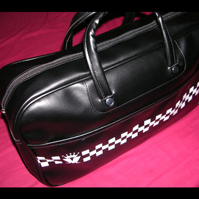 *** Please note the bowling bags are unbranded and will not stand up to the sort of heavy use that you might expect from a Nike / Adidas bag etc. 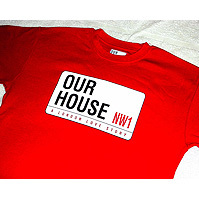 We are selling them as collectors items at more or less cost price. Please take care if you use them as at the price we are selling them for we cannot refund or replace if they get damaged. 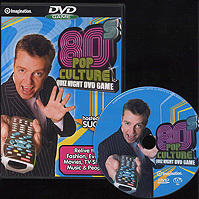 Released in 2005 but surprisingly few copies sold prior to it being deleted. As the rights to the tracks on Divine are now owned by different record companies it is very unlikely that this definitive singles collection will ever be reissued. 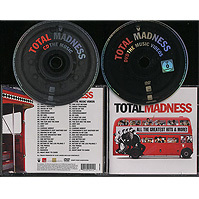 The high quality DVD contains fascinating commentary from the band not available on any other Madness DVD. Includes the videos for Yesterday's Men, Uncle Sam, Sweetest Girl, Waiting for the Ghost Train, I Pronounce You, Johnny the Horse and Drip Fed Fed, NOT available on any other DVD. Excellent condition. Mint condition, still sealed. 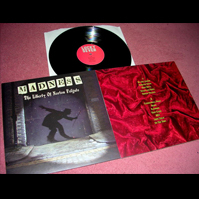 Special Official 30th Anniversary of Madness pressing from 2009. 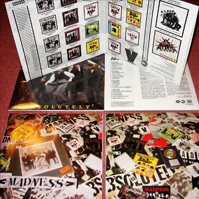 Artwork for the inner sleeves and gatefold comprises memorabilia from 1980 and was designed by Retro-Madness! Limited Edition collectors item - only 1000 ever made. Mint / brand new - never been worn or even tried on. Iconic design official Madness Shirt. 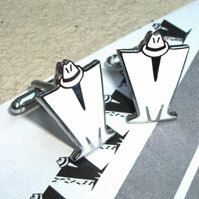 2 pairs of 'M' Logo Cufflinks - 3 ways to wear them! 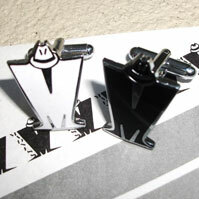 Buy 2 pairs of cufflinks and get 3 ways to wear them ...You can wear a black pair, a white pair or a black and white pair! Mint condition. Brand New - Still Sealed - Includes artwork designed by Retro-Madness! 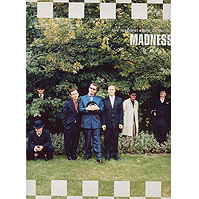 Special 30th Anniversary of Madness pressing from 2009. Official china mugs sold at West End Show 2002-2003 and the UK tour which followed. 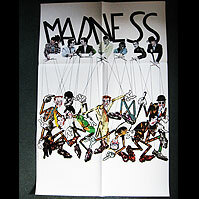 Folded Original Complete Madness (Puppets artwork) poster from 1982 - 20" x 30"
Excellent condition. 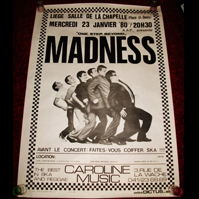 A fantastic original and official promo poster from 1982 for Complete Madness. Poster looks far better in real life than the picture shown. The artwork has recently returned to its rightful place as the centre labels of the 2009 reissue of Complete on CD, this is the first time the famous 'puppets artwork' has appeared since it was used on the centre labels of the original vinyl LP in 1982. Poster will be sent folded but if you would prefer to receive this poster flat see our Posters page where we are selling them unfolded and rolled in a poster tube at a slightly higher price. 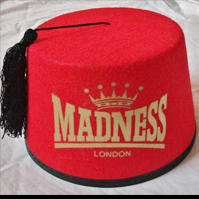 'Madsdale' design Fez hat from 2010. Excellent condition. Recommended retail price was £14.99 when sold in the shops but was deleted from production about 6 years ago. Great condition. Standard plastic clip not provided but can be purchased very cheaply from places such as Ebay. 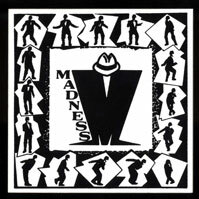 Iconic design official Madness T Shirt. Size: Adult Small - 18" (46cms) - measured armpit to armpit. 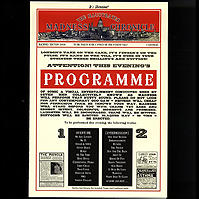 One of the rarest tour programmes as the high price it sold for on the tour (£15) meant that very few were sold. 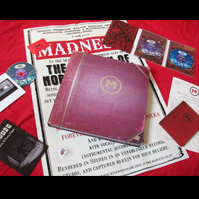 Includes double page spread of all 30 years of Madness Tour Programmes, 30 years of back stage VIP passes and 30 years of tour adverts and flyers, all provided and designed by Chris & Emma of Retro-Madness! Mint condition. 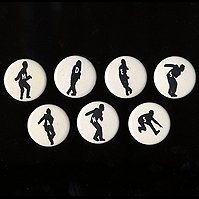 6 badges made for promotional purposes for the release of Tomorrow's Just Another Day. 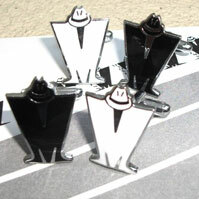 Please note, the Chrissy Boy badges is missing. 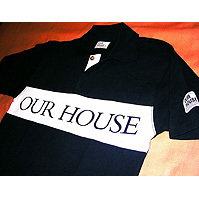 Size: Ladies Medium - 17" (43.5cms) - measured armpit to armpit. 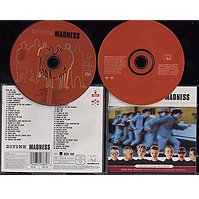 Long since deleted album and the only Madness album that you cannot buy in any high street shop or online retailer. There are currently no plans for it to be reissued. Contains 4 additional tracks not available on the vinyl and cassette versions. Great condition. 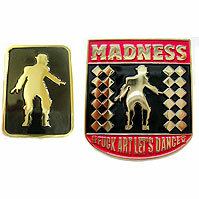 Perhaps the two most famous Madness enamel badges of all time. 28 years old yet still in excellent condition. 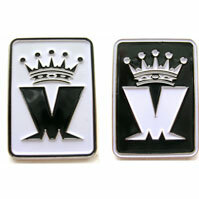 Red badge has discoloured slightly, discolouration not shown in image (image is merely stock image). 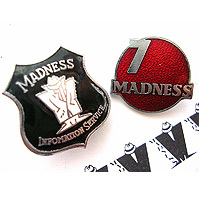 Original and official Madness badges from the early 1980s, both embossed on the back with original Dial-a-Style logo. Mint condition. 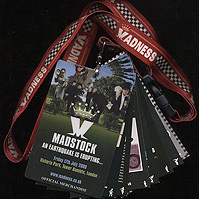 Unique style of programme comprises laminated cards worn around your neck with a special Madness lanyard neck strap. Gives the appearance of being a VIP pass. 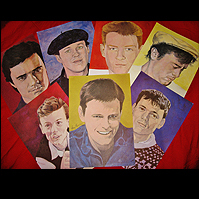 The few that have appeared on Ebay since July 2009 have sold for up to £30 each! 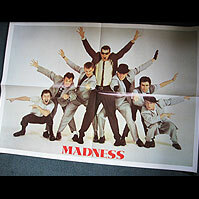 Folded Original Madness 7 Poster from 1981 - thin paper - 17" x 24"
Excellent condition. 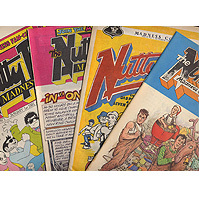 Printed and sold under licence in the early 1980s. Bargain price set of souvenirs from the West End show. All unused. Very rare fold out programme / poster from their three Hackney Empire shows where the Liberty of Norton Folgate album was performed live for the first ever time. Mint condition. Excellent condition with just a couple of light marks. 1. 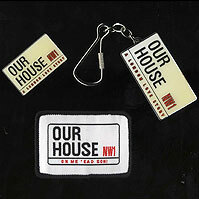 Official beer mat to promote the original 2002/2003 London West End production of "Our House the Musical". 2. Lovestruck beer mat produced by the online fanzine 'MIS Online' for the Madness House of Fun weekend at Minehead 2015. 3. Beer mat for 'Growler Brewery' this was the brewery that launched the first official Madness beer 'Gladness' ...the brewery no longer exists. 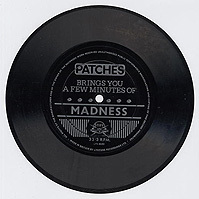 Please note this beer mat does not mention Madness. 4. 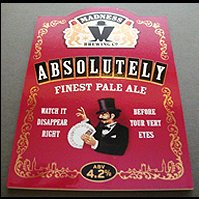 Official beer mat for the Madness Absolutely beer. 5. 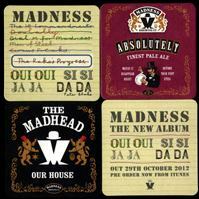 Official promotional beer mat for the launch of Madness's 9th studio album Oui Oui Si Si Ja Ja Da Da. 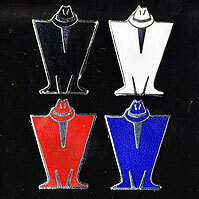 Please note these badges aren't 1979 originals, if they were they would sell for around £50 or more. 30 years old yet still in excellent condition. CDs have surface marks but still play without any problems. 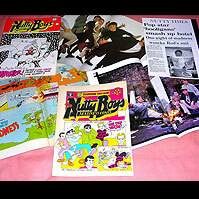 Box and picture sleeves are worn. Condition is reflected in the price. 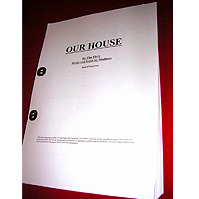 This is the original version of the show before it was re-edited and shortened for the UK tour and for release to amateur theatre companies. Excellent condition. 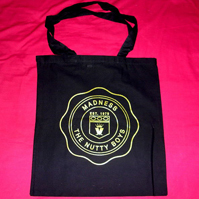 Limited edition official item of merchandise from the 2010 UK Tour - only 500 of these bags were made. 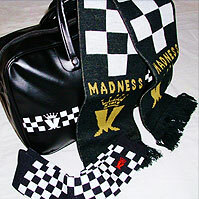 Two tone check and Madness logo printed on both sides of the bag. Approx size 18" x 12" (46cm x 30cm). Due to its size this item will be posted in the UK by the courier MyHermes and not Royal Mail. Royal Mail will be used for international orders only. Mint condition still held in its original polythene bag, never been used. Size: Adult XL - 24" (61cms) - measured armpit to armpit. 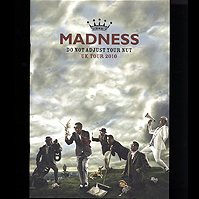 36 page colour programme from the 2010 UK Tour. Full of written content from band and fans together with new photos of the band. Price on the tour was £15 for the programme, our price of £5.99 includes UK postage. Mint Condition. Note difference to Holland version - CDs have printed centres and has different barcode on the back of the box. Box barcode is 5012981700829. An unauthorised collection of very rare demos, rehearsals, unreleased tracks, live tracks and radio jingles. Manufactured as a factory pressed CD in 1999 as a limited edition of just 1000 and caused a considerable amount of controversy at the time. Each were individually numbered. 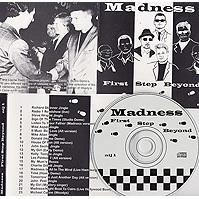 As factory pressed bootlegs go these CDs are now very sought after and in the past have sold for anything up to £100 each on internet auction sites. These CDs were sold for £12 each at the time and we have priced this one at less than cost price to avoid you having to pay silly money for it elsewhere. 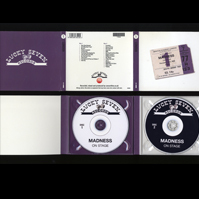 Retro-Madness strongly oppose the manufacture and sale of unofficial Madness items whether this be CDs, clothing or memorabilia. We make every effort to avoid these things but in the rare event that we do end up with any (usually a result of buying in a collection of mainly official items) we put them out at cost price or less so as not to make any form of profit from them. 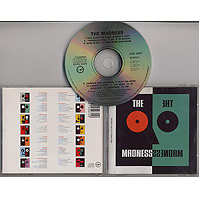 The CD and inserts of this item are in mint condition, plastic case is worn and has a crack (easily replaceable). 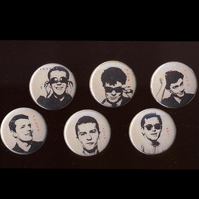 Official Tour Badges - Mint condition. 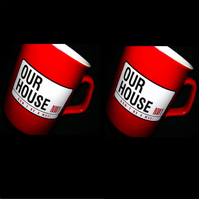 Mug Pack includes china mug, rubber keyring, enamel/chrome badge and an Our House bag. All items in mint brand new condition. 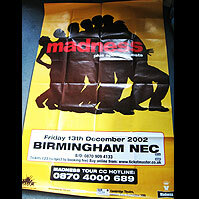 FOLDED POSTER - M.I.S. Membership Poster - Madness in Cowboy Outfits - 24" x 34"
Official MIS Fan Club Member's poster. Factory folded (you will never find an unfolded one). Will be posted in a stiffened A4 envelope. Near Mint condition. 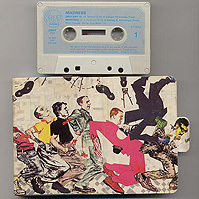 A classic piece of Stiff Records design a unique card picture box for a very rare format (at this time) - a cassette single. The detail of design goes as far as the run out strip on the tape itself which says *Stiff Tapes Where Other Fear to Record* printed alone it. Nearly 30 years old yet still in very good condition, box has minor signs of wear. Poster will be sent folded but if you would prefer to receive this poster flat see our Posters page where we are selling them unfolded and rolled in a poster tube at a slightly higher price. Due to its size this poster cannot be sent rolled outside the UK. 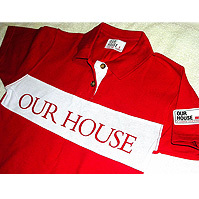 Size: Ladies Small - 16" (41cms) - measured armpit to armpit. 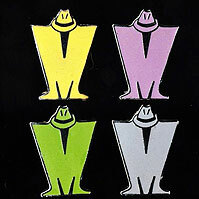 Rare unused promotional vinyl sticker from the USA sized 4" x 4". Mint condition. Size: Adult Large - 22" (56cms) - measured armpit to armpit. Set of 2x official folded promotional posters for the Limited Edition Gogglebox Boxset - 16.5" x 23.5"
Mint condition, posters will be sent folded. Each are sized 60cm x 42 cm (16.5" x 23.5"). Includes interviews, sleeve notes and booklet. 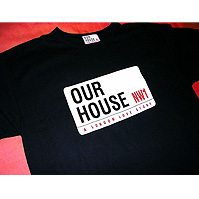 It is unlikely that this item will ever be re-released so buy now at this great price. Excellent condition. Female pop stars launch perfumes...Madness launch beers! 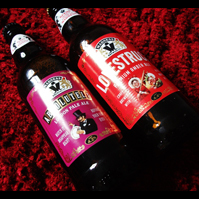 Set of 2 Madness beer bottles - Lovestruck and Absolutely (Empty!) both with plain metal caps. Excellent condition. For free UK postage please make sure your total order is for £10+ of items otherwise you will need to add £2.50 p&p via the button at the top of this page. 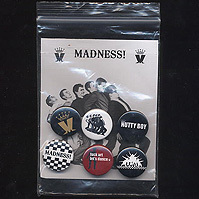 Please note these badges aren't 1980 originals, if they were they would sell for around £36 or more. Size: Ladies Large - 18" (46cms) - measured armpit to armpit.